Reduces water to less than 20 ppb. Available in 3 sizes (120cc, 200cc, 400cc, 1600cc) that can easily be refilled. Inlet and outlet o-ring sealed connectors are equipped with 40 micron sintered stainless steel frits to prevent particulates from entering your system. Mixed spherically shaped 13X and 4A adsorbents provides superior bed packing with less resistance to flow. 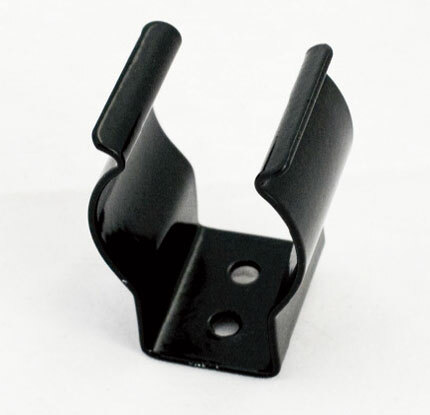 Mounting clip available for convenient installation. * Available with stainless steel compression fittings - add "SS" to part number. Gas traps should be mounted in a vertical position to ensure proper contact of the gas with the adsorbent. Use model 8012C, 8040C or 8050C mounting clip with 8012, 8020 and 8040 Series moisture traps.